This is from the Cake Mix Doctor and boy is it great! Melts in your mouth....not in your hand. It feeds 12 normal people or 2 chocoholics! Generously grease two 9-inch round cake pans with solid vegetable shortening, then dust with flour. Shake out the excess flour. Place the cake mix, sour cream, water, oil, eggs, and vanilla in a large mixing bowl. Increase the mixer speed to medium and beat 2 minutes more, scraping down the sides again if needed. The batter should look well combined. Divide the batter between the prepared pans, smoothing it out with the rubber spatula. Bake the cakes until they spring back when lightly pressed with your finger, 28 to 32 minutes. Remove the pans from the oven and place them on wire racks to cool for 10 minutes. Run a dinner knife around the edge of each layer and invert each onto a rack, then invert again onto another rack so that the cakes are right side up. Allow to cool completely, 30 minutes more. Meanwhile, prepare the Chocolate Sour Cream Frosting. Place one cake layer, right side up, on a serving platter. Spread the top with frosting.
. Melt the butter in a small saucepan over low heat or melt it in a large glass bowl in the microwave oven on high power for 45 seconds. Place the melted butter in a large mixing bowl and add the cocoa powder. Add the confectioners' sugar alternately with the sour cream, blending with an electric mixer on low speed for 1 to 1½ minutes, or until incorporated. Stop the machine and add the vanilla. Increase the mixer speed to medium and beat until light and fluffy, 1 minute more. .Or freeze it, in a cake saver, for up to 6 months. Thaw the cake overnight in the refrigerator before serving. Plus 100 othersFrom around the world! 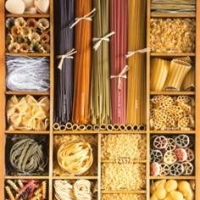 looks amazing.going to bake it tomorrow!!!! frosting too sweet to for me. I WISH I KNEW WHO THAT GIRL IS AND WHO PUT THAT PIC ON MY RECIPE! Mystic, Just wanted you to know I picked this recipe out of many to make for my brother in laws B-day. It was super! I got rave reviews and directed them to group recipes.....I got 2 requests for the recipe and I meant to give it a 5 but somehow I hit the 4 ...but it's a 5!! 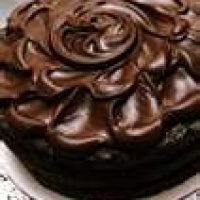 Need to make a chocolate cake for a dinner party tomorrow Im looking for a frosting and I think this may be it!!! Ill let you know how it turns out! Does 1 Stick of butter mean 1 whole packet? How many grams? I made this cake for my husband's birthday. It turned out great. We can't decide which cake we like better - my Killer Chocolate Cake, or this one! Thank you for the great recipe! i think i could eat this whole cake by myself. just get a good movie and im set. That chocolate cake looks amazing. Gotta have some. Great post. Hi..I can't stop myself checking this cake recipe every now and then.It looks great and delicious and I like the sour cream frosting,it is new for me.This one is must-try version..
Oh yah! That's what I"M talking about! With a family of 6 chocoholics we would need 3 cakes!!!! Looks beautiful!